RV hacks! We’ve all read a few articles on the topic. And if you’re Pinterest-savvy? I’m sure you’ve read dozens of them. So for this article, I wanted to take the most popular camping hacks and rate them for you. As a full-time RVer, I’ve tried just about every hack Google has to offer me—and I know which ones work and which ones fall flat. So let’s get started. My oh my! If all RV topics entered the Olympics, renovation would go home with the gold every single time. It’s just so popular. 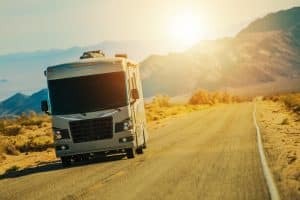 So if you’ve just bought your RV and you’re looking to give it a face-lift, it can be really hard to decipher through all the tips, tricks, and hacks. But don’t worry. I’m here to help, my friend. This RV hack promises to give your RV a new look without all the hard work. Simply cover your dinette couch cushions with crib sheets. You can even change them out every now and then for a whole new look. But does it really work? And is it really that simple? I say yes! This is the perfect RV renovation hack because it’s super easy and inexpensive—just like a hack should be. Vinyl decor can be lovely when done right. 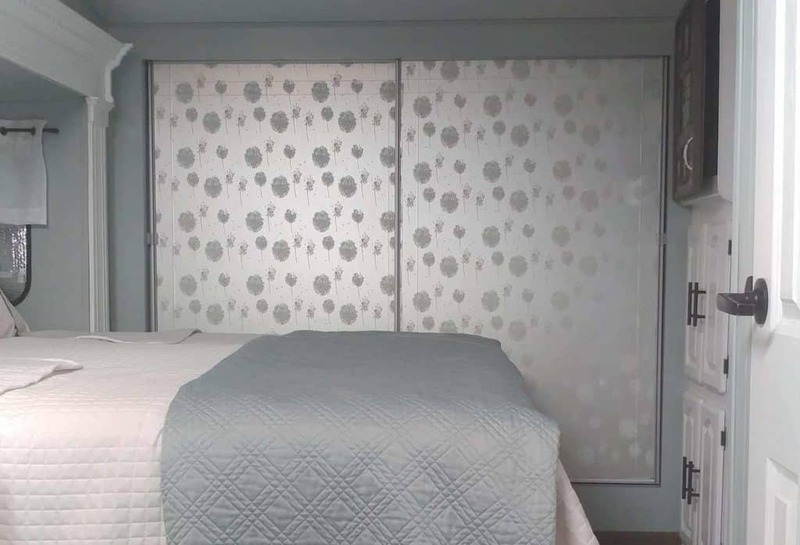 If this RV hack proves anything, it’s that stickers aren’t just for kids—they’re for adults who want to spruce up their living area, too. This hack claims that these adhesive vinyl decals do the camper makeover for you. Just buy a few decals from your local home improvement store, place them inside the rig, and voila! Your camper is like new! Personally, I think using decals is a delicate balancing act. Go cheap on them—or use too many—and you risk making your brand new RV look like a sticker book. 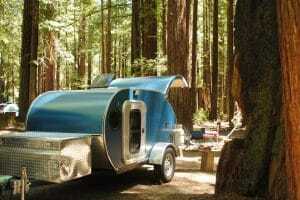 But when done the right way, they really can bring a personal and homey touch to your camper. The mother of all RV hacks. And that comes to no surprise, of course. Storage is a precious commodity in a camper, and it’s important to maximize your space. Use this hack if you don’t use your RV shower. 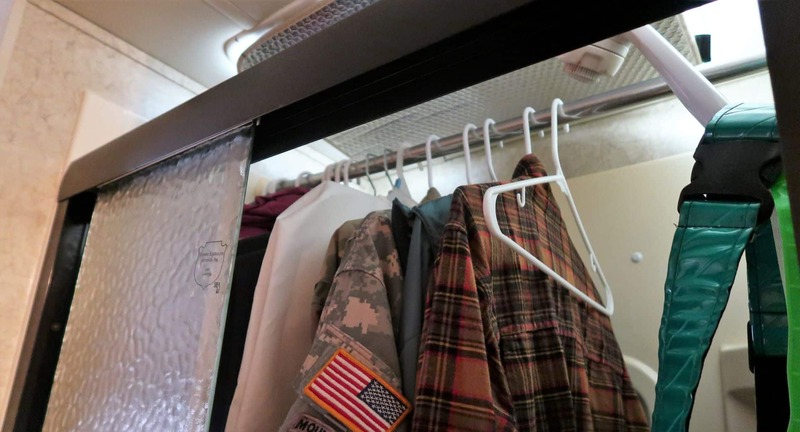 If you don’t have enough space in your RV closet, many suggest hanging a suspension rod in the shower. It will provide a ton of new space and everything hung in there is out of sight! Booyah! This RV storage hack is great for some and terrible for many. If you use your RV shower when camping, this hack is likely not for you. But if you can find a way to shower at the campground facilities, this hack is brilliant! And personally? I love the unlimited hot water of a campground bathhouse. Just saying. I’m sure you’ve seen this one recommended by your favorite YouTubers. And yes, it is a simple and mostly-effective way to keep things in place. I say mostly effective because tension rods and bungee cords are delicate. You can’t put too much weight on a tension rod, and you’ve got to ensure a bungee cord is secured properly. It may take you a few times to “get it just right” with this hack. Overall, I’d still recommend it. Yes! You can buy file folder boxes at the dollar store and most fit perfectly in RV cabinets and cupboards. What’s not to love, honestly? It’s a great way to quickly organize (and access!) kitchen supplies. The only downside to this RV hack is you might get too trigger happy with it, filling all your cabinets with file folder boxes. A few will do, my friend. I’ll keep this short because there really is no debate. RVers love command hooks! What’s not to love about these versatile hooks? All of this without a drill, folks! Instead of bringing that giant tube of toothpaste in the RV, make dots instead. Just get a paper plate, dot it with toothpaste and let the drops dry out over 3 days. Then add a little baking soda and put them in a resealable bag. Now, I thought a hack was supposed to make life easier, right? There is nothing about this hack that makes your life easier. It’s a lot of work for nothing. Buying nesting bowls, pots and pans, and the like is well worth the investment for camping! They save you so much space in the long run. Pretty and effective. This RV hack is for everyone. 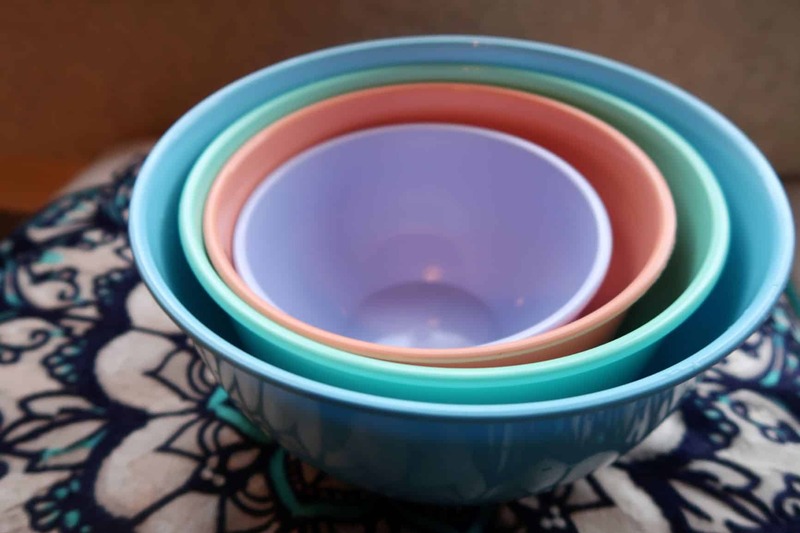 The only thing I hate about my nesting bowls is when I need one in the middle and have to take the all of them out of the cupboard to grab the one I need. Honestly though, this is a minor inconvenience in the grand scheme of RV hacks. And one you don’t have to deal with if you have more counter space than me. 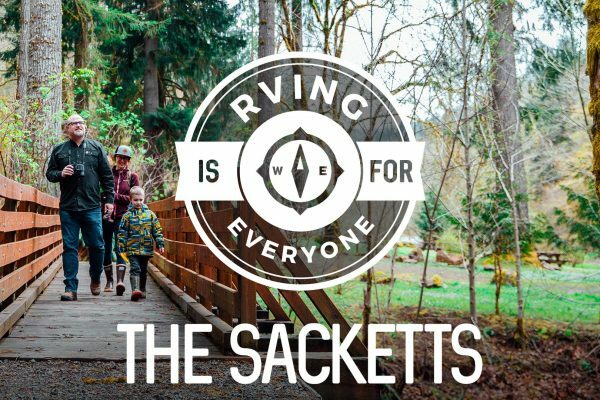 We all agree RVing is awesome. But the lighting in an RV? Well that can be a whole different story. What’s an RVer like you and me to do? Well, here are the best hacks the internet has come up with. You can really add nice lighting and even a little ambiance with little LED strips. Add them to your living room, along the stairs of your fifth wheel, or even the top of the bedroom slide. And for the price on Amazon, it would be silly not to try this hack out, right? Let’s just say I think they are tacky and either too bright or not enough light. Boy is this thing ugly in the daylight, but I love it! Not only is it easy to make, it actually works great! Just put a cheap work light/flashlight in a white 5 gallon bucket and put a lid on it. Hang it in a tree around your the campsite and boom! You’ve got your own personal streetlamp. So now that you’ve read my RV hack reviews, it’s your turn! What are your favorite camping hacks? And what are ones you’ve tried that just fell flat? Being a newbie at camping one of my hacks is command strips…..love them!!! 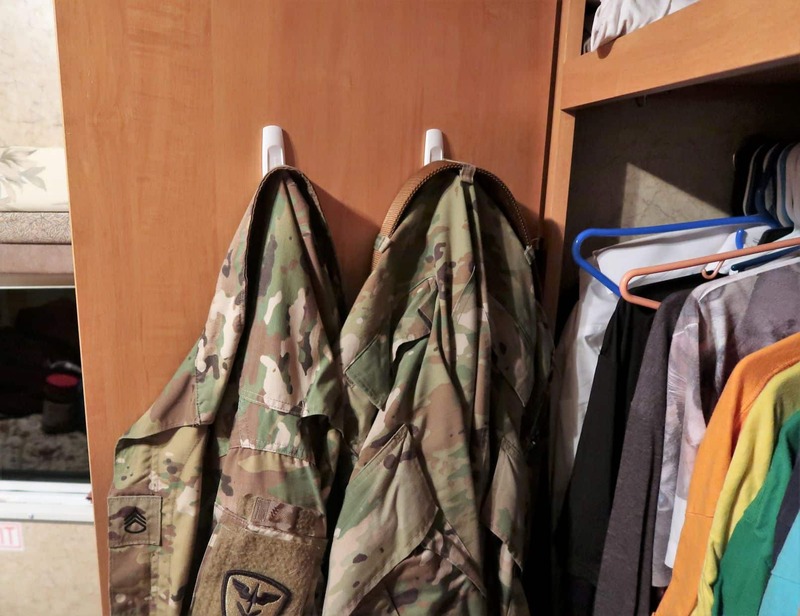 I have one that is a broom holder which is located on our bathroom door…..memory foam for a crappy mattress…..a must have….or get a new mattress….suction hooks for outside to hang trash bag and towels from pool….got a bike rack for a steal to transport bikes. …..invest in an extra longer water hose….we have needed it many times….I am sure I will come across more as we camp more. Our travel trailer is tiny so can get too much in her. Yes! Command Strips are an RVers’ best friend!!! For the annoying bright LED lights I bought a couple sheets of lighting gel…the same kind you use for stage tech or photography. Easy to cut to the right size to slip inside the light fixture. You can use any color you want, but I just used one to diffuse the light but not change the color. Great tip! WOW! Thanks so much! Totally agree with you on the Command hooks and also Dual Lock! Love both! Also agree with you on the LED lights. They are too bright. I wish there was something between the dull yellow normal lights and LEDs. Our bedroom has a big window behind the bed , complete with screen and blinds. It isn’t very nice for sitting up against for reading or tv watching in bed. We got a large piece of wood and wrapped it in an old comforter, then slipped it between the mattress and the window. It’s great! I keep our towel cupboard from becoming a jumbled mess with an empty wine bottle box from the liquor store. I just roll up the towels and slide them into their own “slot.”. I can fit two or three hand towels in one slot. It’s not the prettiest, but it’s lightweight and it works. I put one in my clothes cupboard too. It keeps my folder clothes from getting unstacked and wrinkled. Hi Liz, great blog. My wife and I are 4th year full timers, retired. Now we travel, host and volunteer in a 5th wheel. We were primative campers for over 30yrs. Prior to getting our first camper 9 years ago. I hope we run into you somewhere. Hi Jim! It’s nice to e-meet you. I’m sure I could learn a lot from you guys! We have only been on the road for about a year, and before that we were stationary for a year as well. Your Best Address. In South Dakota. We just got our driver’s license, registered the cars, got insurance for the vehicles. No state income tax in SD. Hi Melody! That’s a great question. There are lots of different mailing services to choose from when you decide to hit the road. We use St. Brendan’s Isle in Florida but another popular choice is Escapees. They will explain how to get a domicile and and your permanent mailing address. Hope that helps! Sorry for the delayed response. We use Dakota Post, in SD for mail and residency. Florida and Texas also do not have state income tax. Consider your voting status before changing your residency. Some states pull their juries from voter registrations. There are several things to consider before you determine which works for you. You might have to pay to change your vehicle registration. I bought a set of inexpensive white driving lights from a large discount retail mart. Instead of putting them on the front of my truck, I put them under the rear bumper of the camper. I put a rocker switch in the side of the cabinet next to the entry door of the camper. We don’t often need to back up at night, but this sure makes it whole lot easier. 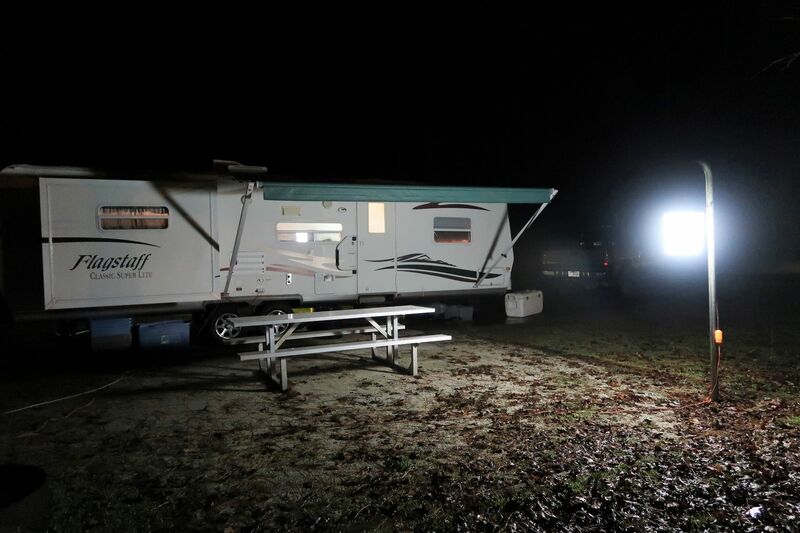 Plus it will light up a large area behind the camper if you need to venture around the back of it at night. I also installed an LED strip inside the cubby that the stairs fold into with a rocker switch next to the bumper lights. It’s just enough light to show where the steps are without needing all the other lights on. I love this hack Popeye! Thanks for sharing it with us. I am reading to my husband right now and he says he needs a set of those driving lights for himself!